If your thoughts are turning to your next holiday or gap adventure break and you are unsure of which travel destinationto go to, then why not visit a travel show to get some inspiration? Travel shows are a great way of discovering what travel destinationsare really out there and to learn more about a country than you may have known previously. It is also a way to meet recognised travel organisations who have years of experience, so they can help you book your travel with confidence. 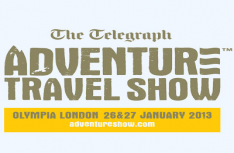 If you are located or can get to London in January 2013 there are two great travel shows taking place. This travel shows looks specifically at those looking for an activity holiday such as a safari, walking holiday, expedition or extreme sport-based adventure. It is therefore an ideal travel show for gap year travellers and backpackers who are looking for an experience that pushes the boundaries of a conventional holiday. This travel show is all about inspiration and motivating you to book a holiday and adventure of a lifetime. That is why it brings together travel experts, leading tour operators, explorers and writers all under one roof. The show also offers valuable information for those looking to volunteer abroad, so offers a unique opportunity to be excited as well as giving you access to all the knowledge you require for taking a gap year abroad. A more mainstream travel show is The Times ‘Destinations’. This travel show gives you the opportunity to gather ideas and speak to leading travel experts. It inspires you by having a ‘Taste the World’ area where you can sample delicacies from around the world to tantalise your taste buds as well as your mind. There is also a travel clinic where you can find out about planning your holiday with useful information on vaccinations etc. If that isn’t enough then visit the World Entertainment Zone at the event where you can see some acts perform from around the world as well as hear some travel and holiday stories from TV travel personalities. With both these travel shows being at the start of the year, it can help you focus your mind on your time away and what you really want to do and achieve. Don’t forget that Gapwork.com has comprehensive travel advice for planning a gap year abroad where you can find the latest information on travel visas, insurance policies as well as useful advice on accommodation abroad and what to take on your travels.